A donkey and a emu, abandoned by their owner, have developed a special bond that is creating obstacles for their new owners. UNION COUNTY, N.C. -- A boy donkey and a girl emu, who were abandoned by their owner, have developed a special bond that is creating some obstacles for their new owners. Rescuers with Carolina Waterfowl Rescue said the animals came to them after their owner vanished last week. The pair, along with dogs, cats, and chickens, were left behind on a few acres in Kershaw, South Carolina. The group took the animals in, hoping to find homes for them. Within minutes of picking them up, workers learned that the dynamic duo wouldn't be without each other. "We normally wouldn't trailer an emu and a donkey together but they were in a small pen together, and the emu was very upset when the donkey got put in (the trailer) first," said Jennifer Gordon, Executive Director of Carolina Waterfowl Rescue. "We went ahead and put the emu in--and thinking she would stay in the back of the trailer--but she immediately went and lay down (sic) next to the donkey. They rode the whole way to the rescue like that." But when they got to the farm, the pair didn't take too well to the other animals. "We tried to put them in with another donkey and another emu but it did not go well, " Gordon said. "The donkey attacked the other donkeys and the emu was upset as well, so we ended up having to put them in a separate area. So, right now they are in together with no other animals." It's an unusual friendship but rescuers believe the pair may have been comforting each other for years. "They aren't overly affectionate," Gordon said. "They just seem very protective of each other and become agitated when separated." And keeping them together is very important to Gordon. She said since they can't keep the pair on the farm, they are up for adoption but there is one requirement: they can't be put with other animals. "We hope to find them a sanctuary or a good forever home with someone who will never separate them." Interested applicants can apply on their website. They also need to send photos of their farm to adopt@cwrescue.org. However, Gordon said if the organization can raise enough money, they'd like to keep the furry friends together and move the rescue to a 50-acre farm. Donations for Carolina Waterfowl Rescue can be made online. Rick Fisher has been capturing life through a lens since he worked on his high school yearbook. 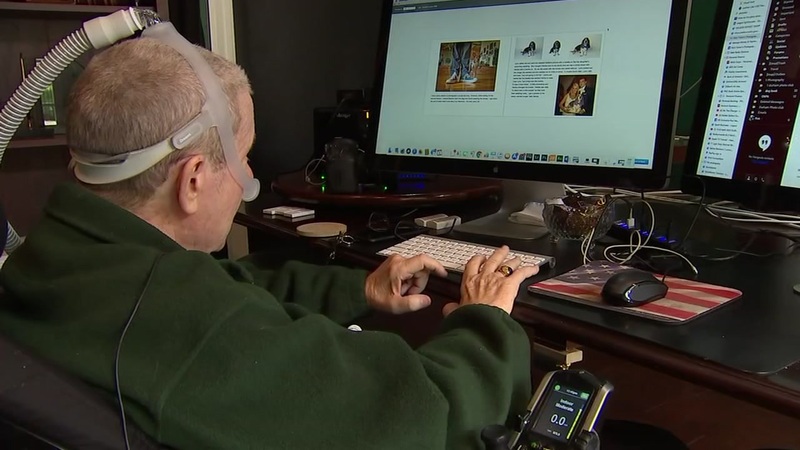 Now, with less than a year to live, he's creating a final love letter of sorts that will help others.